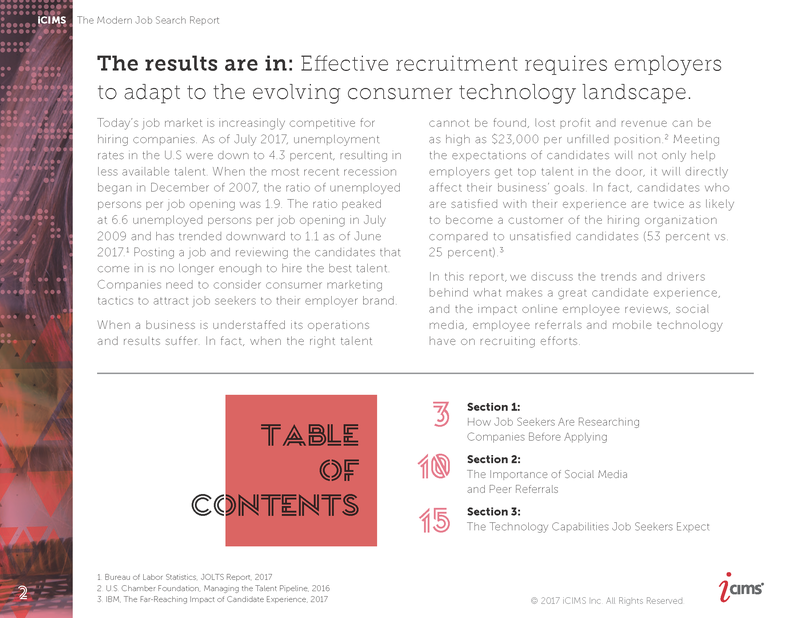 In this report, we discuss the trends and drivers behind what makes a great candidate experience, and the impact online employee reviews, social media, employee referrals and mobile technology have on recruiting efforts. 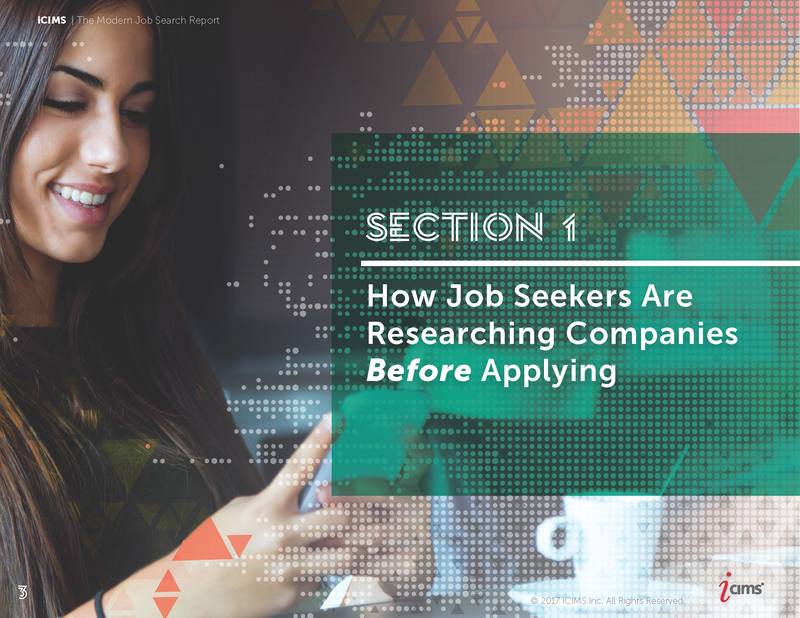 - The content that is most important to job seekers when researching a potential company to work for include employer reviews (37 percent), textual content on a company website (24 percent) and company publications or products (24 percent). 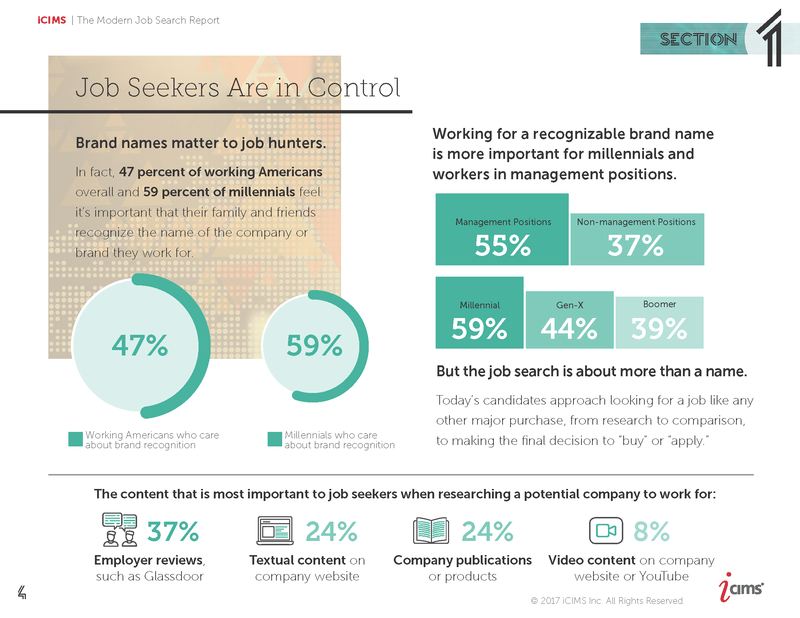 - Seventy percent of workers have searched for a new job while at work. 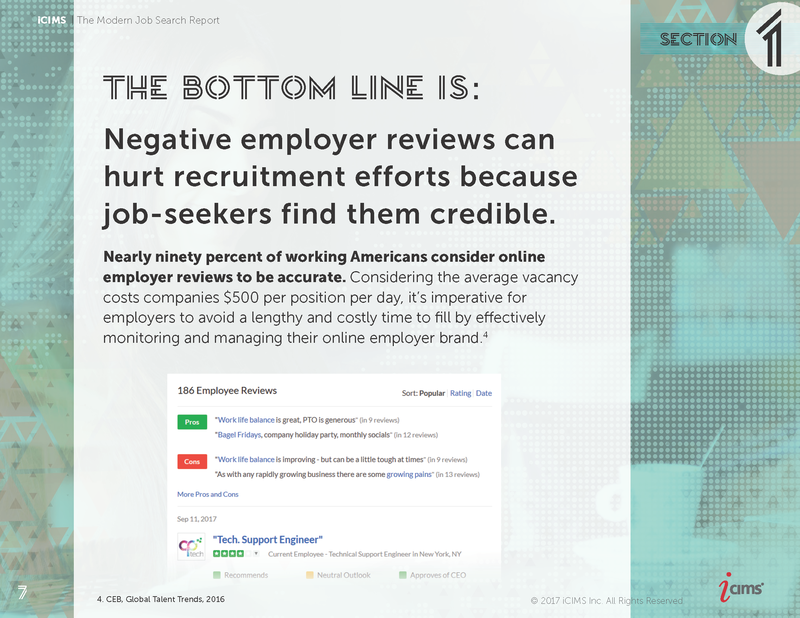 - Nearly 1 in 3 workers have declined a job offer primarily because the company had negative online employer reviews. 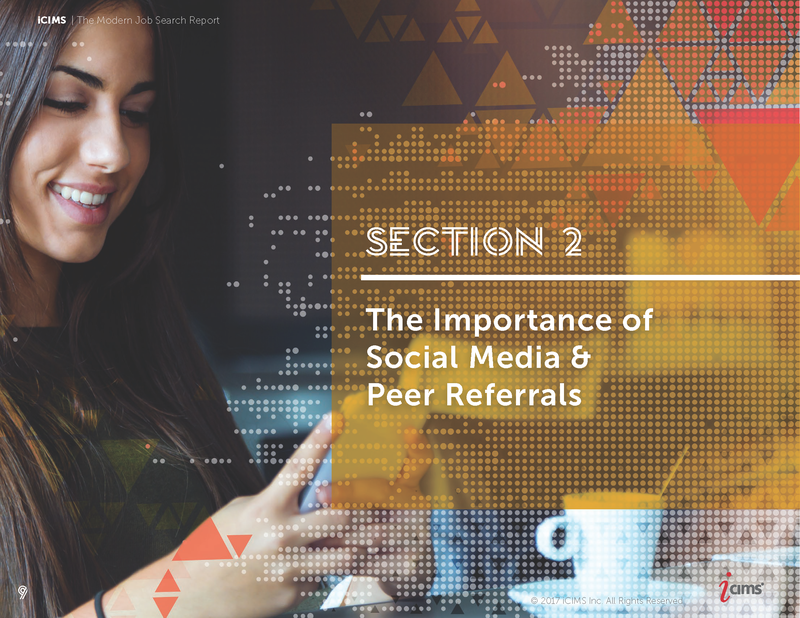 - Social media is more than just a millennial trend. 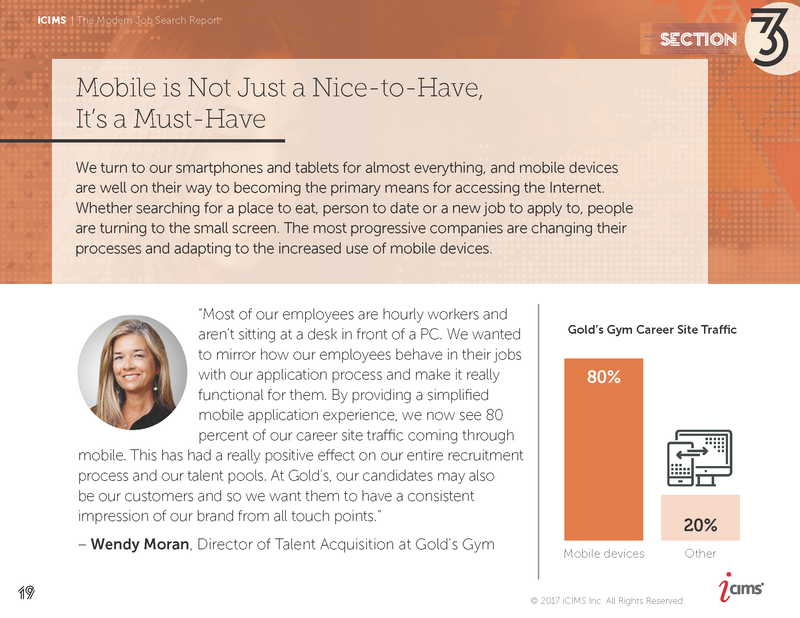 Ninety-four percent of all working Americans surveyed would visit a company’s social media page when searching for a job. 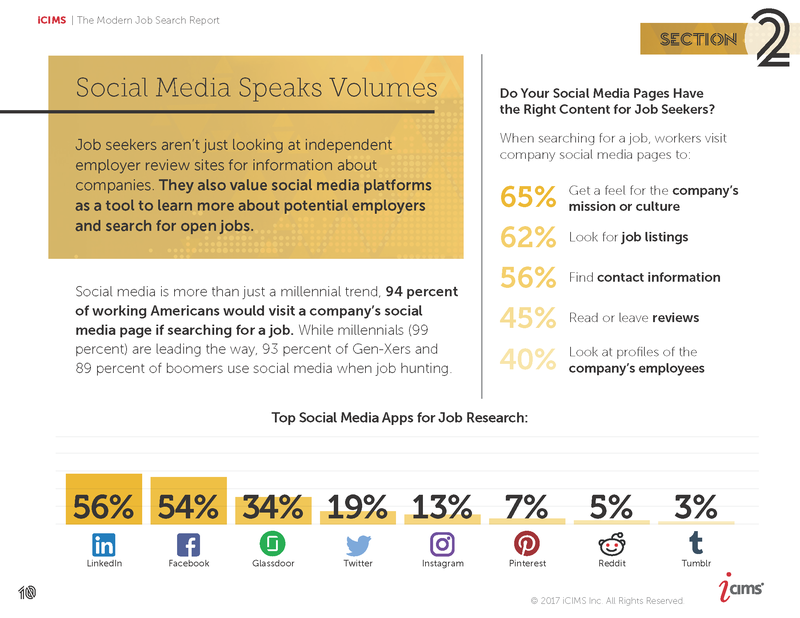 - The top social media apps for job searching include LinkedIn (56 percent), Facebook (54 percent) and Glassdoor (34 percent). 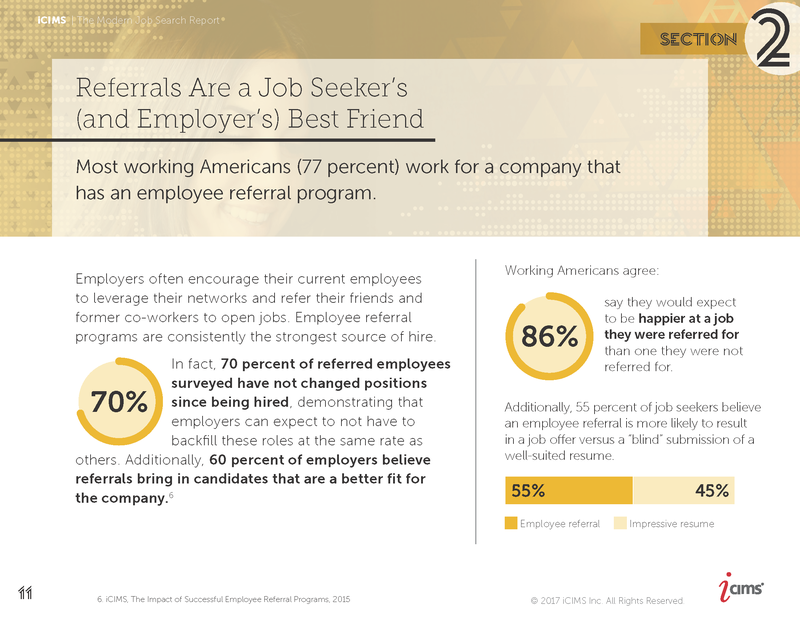 - Eighty-six percent of workers expect to be happier at a job they were referred for than one they were not referred for. 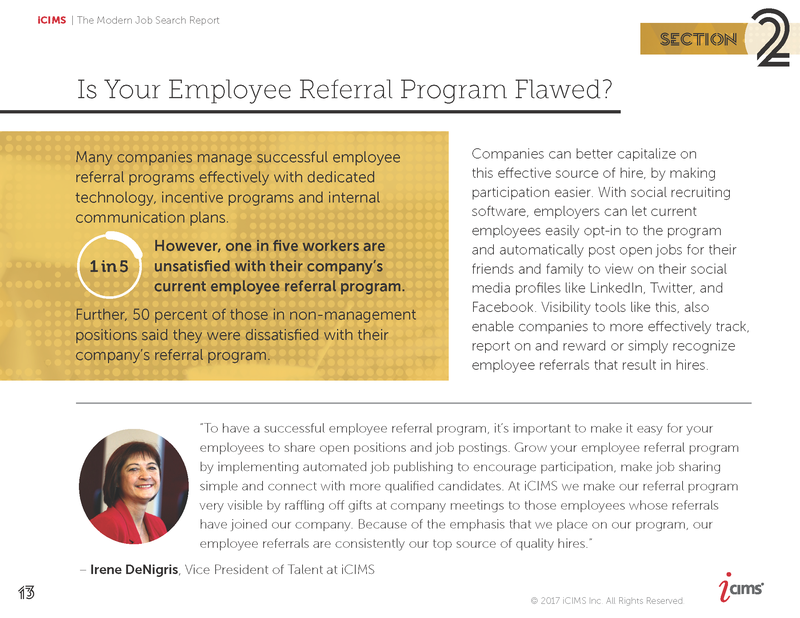 - Sixty percent of employers believe referrals bring in candidates that are a better fit for the company. 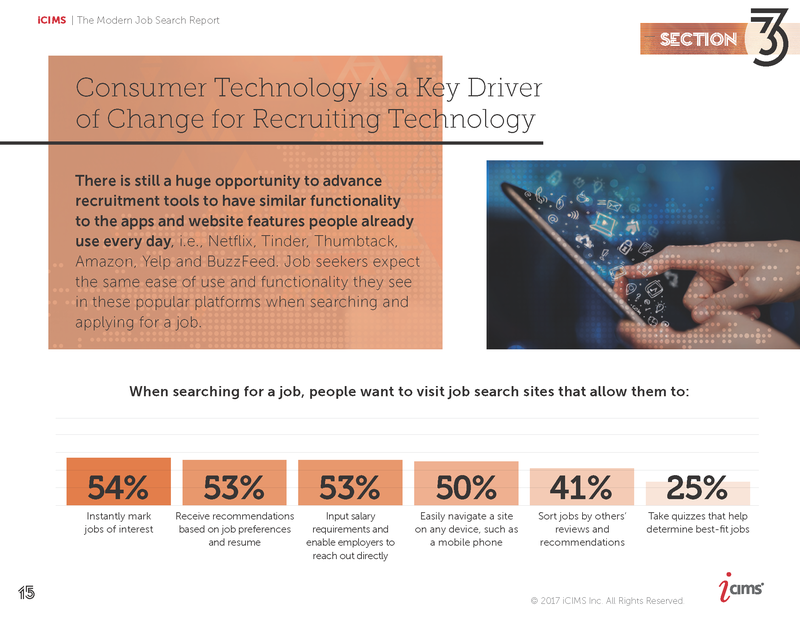 - Job seekers expect the same ease of use and functionality they see in apps and websites they use every day when searching and applying for a job. 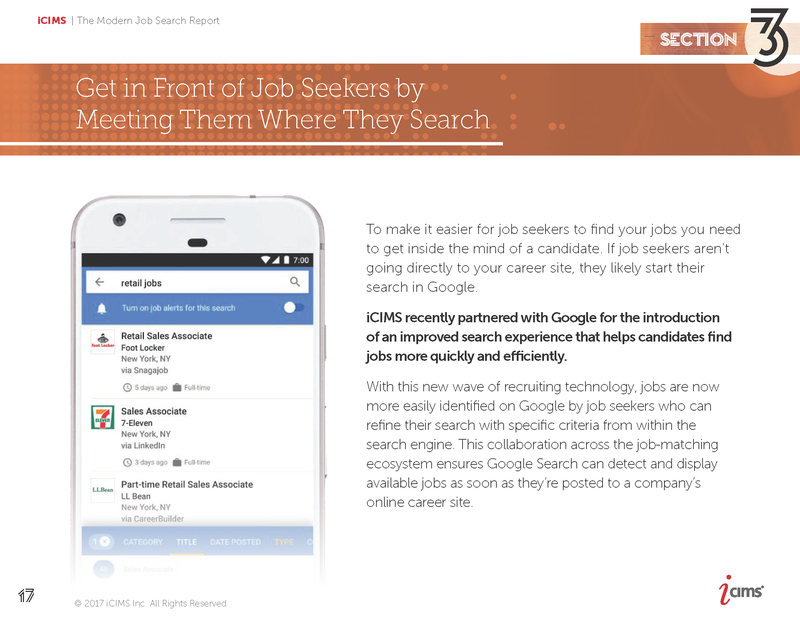 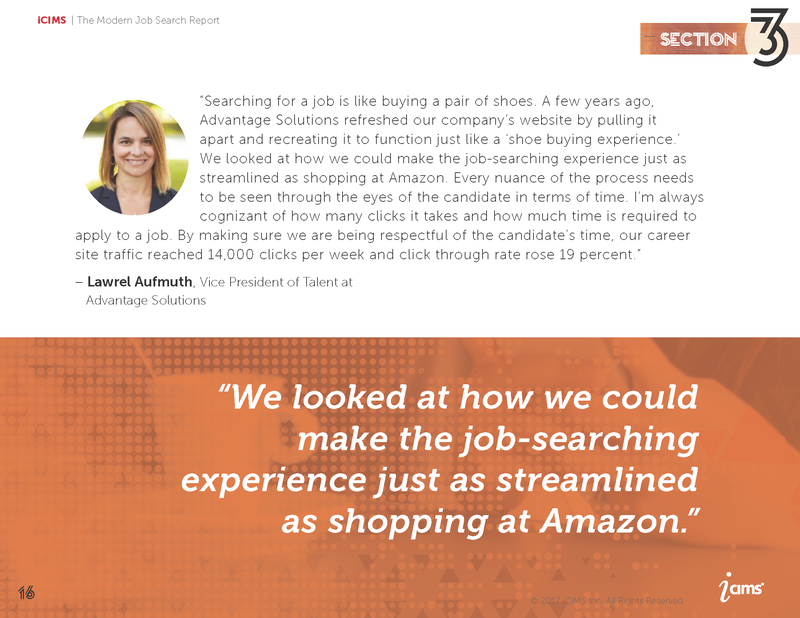 When searching for a job, people want to visit job search sites that allow them to: Instantly mark jobs of interest (54 percent); receive recommendations based on job preferences and resume (53 percent); and input salary requirements and enable employers to reach out directly (53 percent). 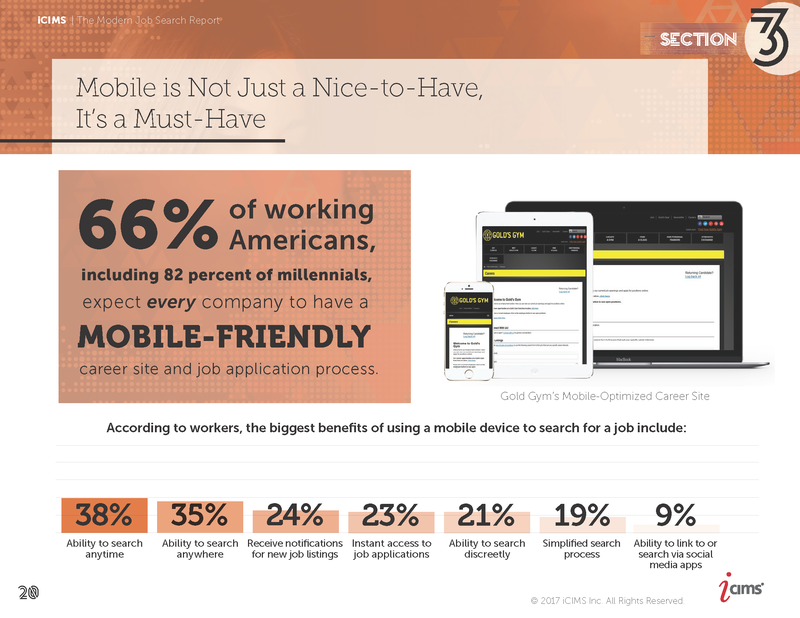 - Sixty-six percent of working Americans, including 82 percent of millennials, expect every company to have a mobile-friendly career site and job application process. 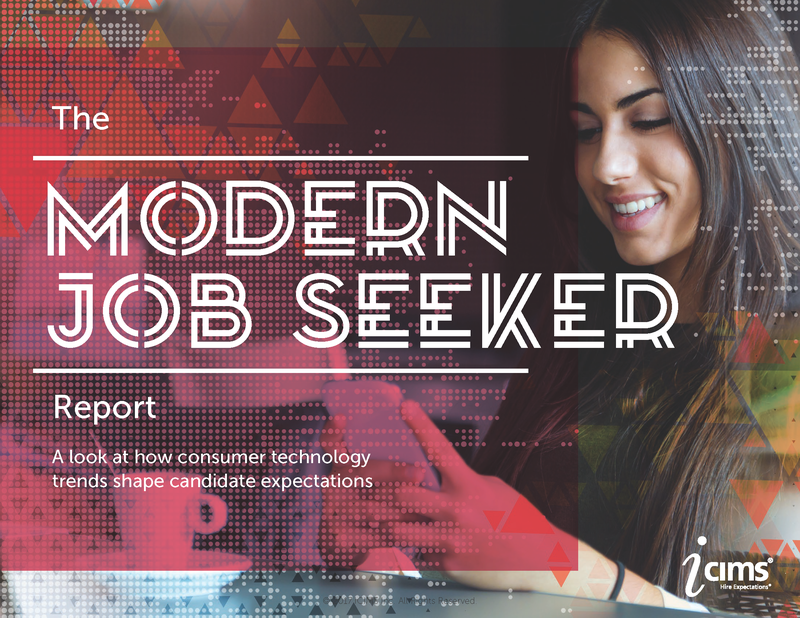 - The majority of working Americans (85 percent) believe the popularity of mobile job search applications means they would have to act quicker than ever to be considered for a position. 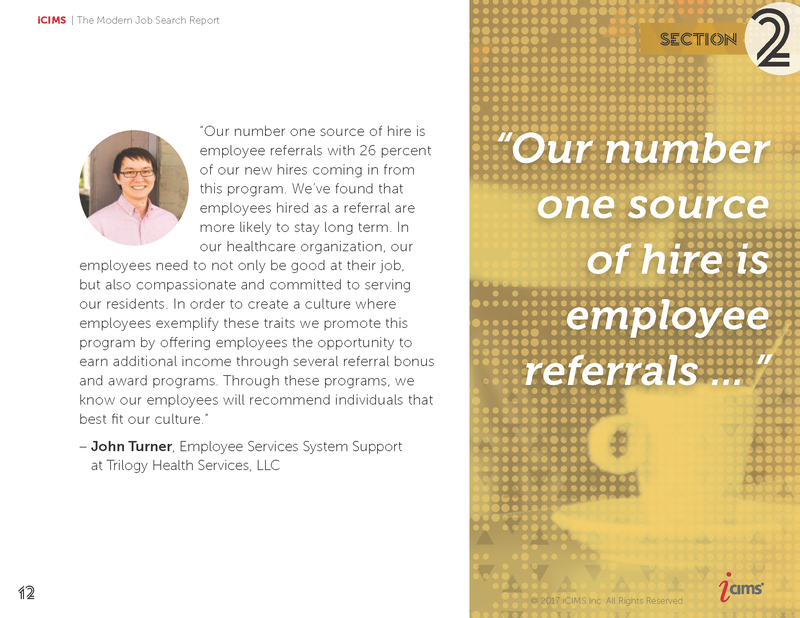 To compile the report, iCIMS conducted a survey among 500 full-time employed U.S. adults, ages 18+ and provided additional commentary from iCIMS customers, Gold’s Gym, Trilogy Health Services, and iCIMS partner, Glassdoor. 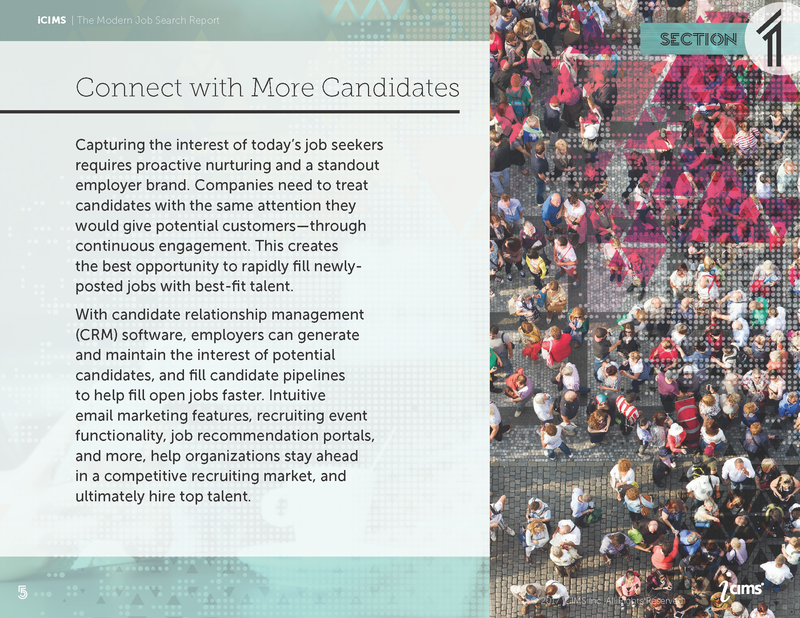 With the constantly changing landscape of talent acquisition, it’s crucial for employers to keep a pulse on the behaviors of candidates during the hiring process. 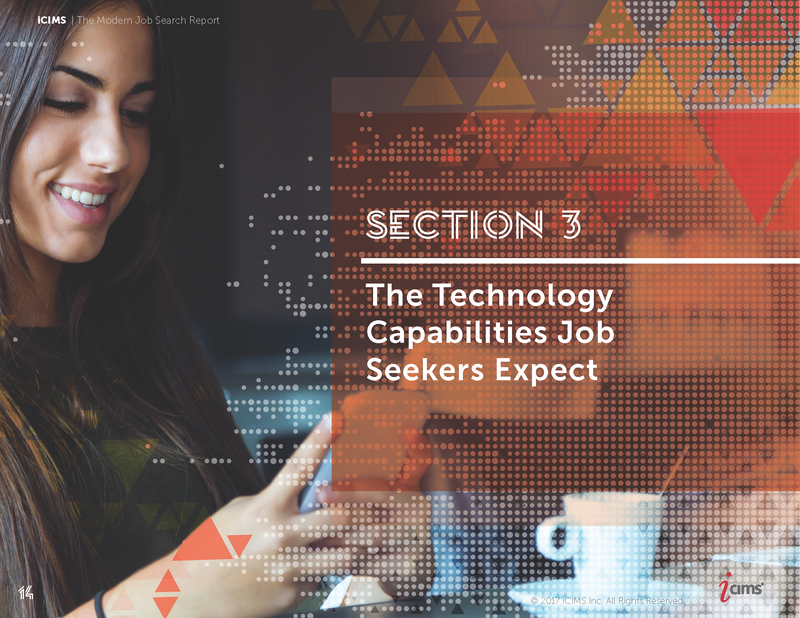 Because many of the interactions applicants have with a company’s hiring process is technology-driven, it’s critical talent acquisition departments have the right tools that prioritize a great candidate experience. 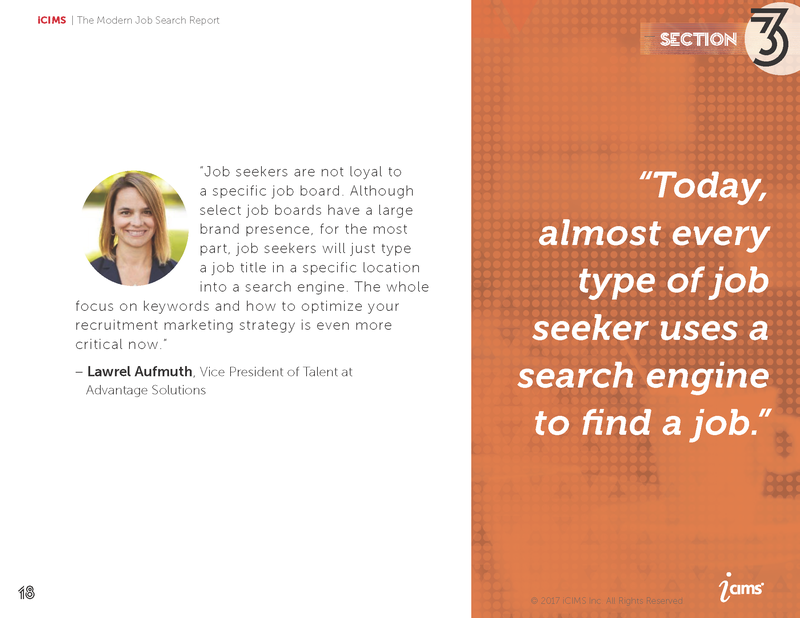 Without the right tools, employers risk not being able to find the right people, and without the right people, their business will not meet its full potential.